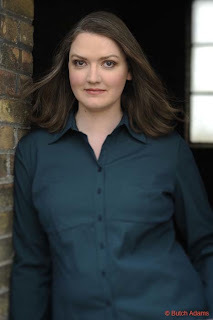 Today's guest for Saturday Stories is author extraordinaire Lisa Mangum. She's also donated an awesome prize for today's give-away. Stay tuned to find out how you can enter to win. Q—Who are you? Tell us about yourself. I’m Lisa Mangum. By day, I’m an editor for Deseret Book; by night, I’m a writer of novels. (So yeah, pretty much I spend all my days around words.) I’m married, and am still very much in love with my sweet husband. Three things I love besides books: when people are kind to each other, the sound of honest laughter, and the way it smells after it rains. Three things I don’t like: unwelcome changes, eating seafood, and zombies. (Don’t get me wrong: I think they are way cool, but they also creep me out.) Three of my favorite “guilty pleasure” reality TV shows: America’s Next Top Model, Project Runway, and Top Chef. Q—When did you decide you wanted to be a writer? I think I’ve always wanted to be a writer. My mom is a writer so I grew up with words and books and imagination. I remembering setting a goal that I would be the youngest writer to ever have a book on the New York Times list. After high school, though, I decided to pursue editing, which has been a joy all its own. Then, about five or six years ago, my friends and I started a writing group and decided that we would do our best to switch from being “someday writers” to “today writers” and we all started working on a book. And about eight months later, I had finished the manuscript for The Hourglass Door. 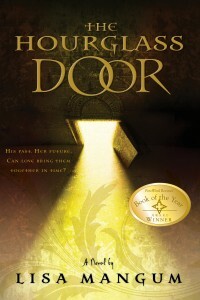 Q—Tell us about “The Hourglass Door” series. Q—What was your inspiration for the first book in the series? I was actually 300 pages into writing an epic fantasy novel when I switched gears and jumped into YA. I was driving to a writing conference for YA writers and I thought to myself, “What would I write, if I were to write YA?” And I knew right away it would be a love story, and that made me think of one of my favorite love stories from classic literature—Dante and Beatrice from Dante’s epic poem The Divine Comedy. (Most people just read Inferno and don’t make it all the way through Purgatorio let also Paradiso.) And that got me thinking about Italy, and because I love fantasy, I asked myself “What if Leonardo da Vinci built a time machine? And what if it worked?” After that, it was like Abby and Dante jumped in the car with me and told me the whole story. Twenty minutes later I had outlined the entire trilogy—names, relationships, plot points, snatches of dialogue—the whole bit. The feeling of having a whole book download in one huge chunk was amazing and unlike anything else I’ve ever experienced. Q—What is your favorite part about writing stories? I love it when the characters take over and tell me the story and all I have to do is try to keep up. It’s both fun and terrifying to force my characters into impossible situations and then see what they do to get out of it. Q—What is the strangest thing that has ever inspired you to write a story? The inspiration for my WIP manuscript came from a dream, which, I know, sounds so cliché. But what made it strange is that when I woke up from the dream, I thought to myself that it would make a great story—as long as I changed everything about it. In fact, the only thing that survived from the dream into the story was the moment when Sara sees Sam outside the bookstore. After that, the dream and the story took wildly different tracks, despite the fact that they were based on the same thing. Q—If you could change the ending to any book you’ve ever read or movie you’ve ever seen what would it be and why? I might choose the Disney version of The Three Musketeers. It came out years ago and since I’m a huge fan of the book, I was really excited to see the movie. But when they let Lady de Winter die a hero instead of a traitor, I was really mad. (I guess I still am, after all these years. Who knew?) Yes, it was a Disney movie, but they still should have cut off her head like they did in the book. Q—What is one of the best lessons you, as an author, have learned? I think that’s what writing boils down to. If you can’t quit—if there is something inside you that won’t let you not tell that story—then you have to buckle down and do the work. Every day. Even when you don’t feel like it. Even when it’s hard. Even when you have a stack of rejection letters as thick as your manuscript. Doesn’t matter. You have to do the work. It’s the only way the story is going to be told. I believe that inside each of us there is a story that only we can tell. If you are going to honor that story then you have an obligation to do your best to tell that story, to give life to that creative spark that is in each of us. And sometimes that takes a lot of work. Q—If you could take any character from any of your stories (published or unpublished) and bring them to life who would it be and why? It might be Leo. He turned out to be such an interesting character for me to write. And I think he still has some stories he hasn’t told me about his life and his past—and his future—that it would be fun to sit down and have dinner with him and find out more about him. Q—Fill in the blank: A world without ______ isn’t a place I’d want to live. A world without hope isn’t a place I’d want to live. Q—Which writing device do you prefer? Computer or pen and paper? I write almost exclusively with my laptop computer, but I find that I do my best outlining and prep work on paper. And there have been times when I don’t have my computer with me and I have to write down a phrase, or a scene, or an entire chapter on paper. I prefer the computer, though, since I like to move things around in my books (which is easier to do electronically than it is on paper). Q—What is the strangest experience you’ve ever had at a book signing? I don’t know about strangest, but one of the best experiences I’ve had was when I was signing in Las Vegas for the release of Golden Spiral. My husband and I had gone to Vegas to see Rush in concert and I had piggybacked a book signing on the weekend. It was a smaller bookstore, so I wasn’t sure how busy it would be. But it turned into one of my favorite signings when two girls came in wearing homemade Zero Hour concert T-shirts. They had taken the time to decorate shirts with the band’s name and logo. It was really the first time I’d seen any fan swag and it delighted me to no end. Then I found out they had driven something like three hours that morning in order to see me at the store. I signed their shirts as well as their books and took pictures with them. It was a great day. I don’t do a lot of physical play acting while I write, but I do mutter to myself a bit. I like to read dialogue out loud to make sure it flows and that the rhythm and sound of it works. Sometimes my husband thinks I’m talking to him when I do that. Awesome Detail #1: This is an award winning series. You can purchase Hourglass Door by clicking here. 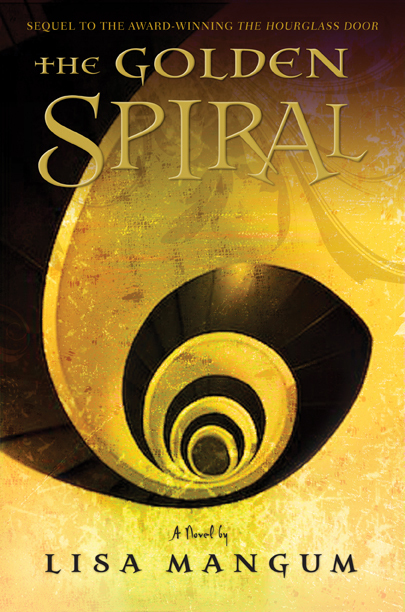 You can purchase Golden Spiral by clicking here. 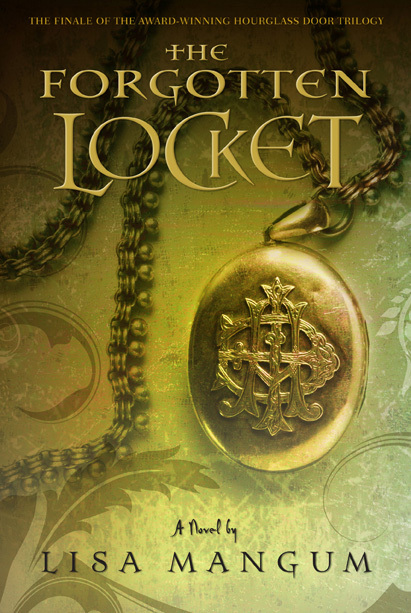 You can purchase Forgotten Locket by clicking here. Awesome Detail #3: How to win. If you'd like to enter to win all three books above, that's right, all three. Check out the details below and come back tomorrow morning and visit our Winner's Circle page to see if you're the lucky winner. ALL ENTRIES MUST BE MADE BY 11:59 PM MST tonight, January 14, 2012. 1. Because this is such an awesome prize we're going to make you work for it a little. That means to qualify for the drawing AT ALL you must visit Lisa's website here and answer the following question in your comment on this post: What will Lisa be doing on March 14, 2012? That's SIX different ways you can be entered into this drawing. Look how good your odds could be. Yay for Lisa! She's going to be at the Orem Library on a panel for Orem Writes. This series sounds fantastic! I went to look at Lisa's website, but couldn't find where I was supposed to be leave the comment. But I am a follower of this blog! I'm also following this blog, and the Facebook page. Oh, I get it. You're supposed to get the information from the blog and leave it in the comment here, not leave the comment on her blog. I guess the statement is a little ambiguous. Anyways: She'll be at the Orem Library sitting in on a panel of Orem Writers. I would love to win! I am a follower of this blog, and on March 14 Lisa will be visiting the Orem Library as part of a panel of YA writers. Lisa is going to be at the Orem Library for a YA authors' panel event on March 14 (and I suddenly find myself wishing I lived closer to Utah). I am a follower of this wonderful blog! Wow, I loved learning more about Lisa, I am excited to see her at the ANWA Writers Conference in Mesa, Az next month! There's a reason she's going to be the keynote speaker. I can't wait to learn from her! I absolutely loved Lisa's book... I have only read the first one but I really need to read the next to in the hour glass series.